← MICKLE JOINS THE 2015 EMEX! Uy! May Pool sa Bar! Ay, Bar pala sa Pool. Now I am confused. 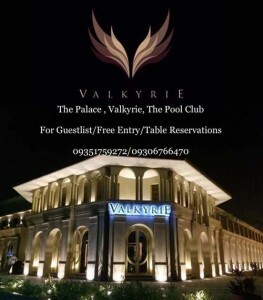 Medyo matagal na rin bukas ang Pool Club pero ngayon pa lang ako makakapasok. Buti na lang andyan si Fabio Ide para mag host ng party. 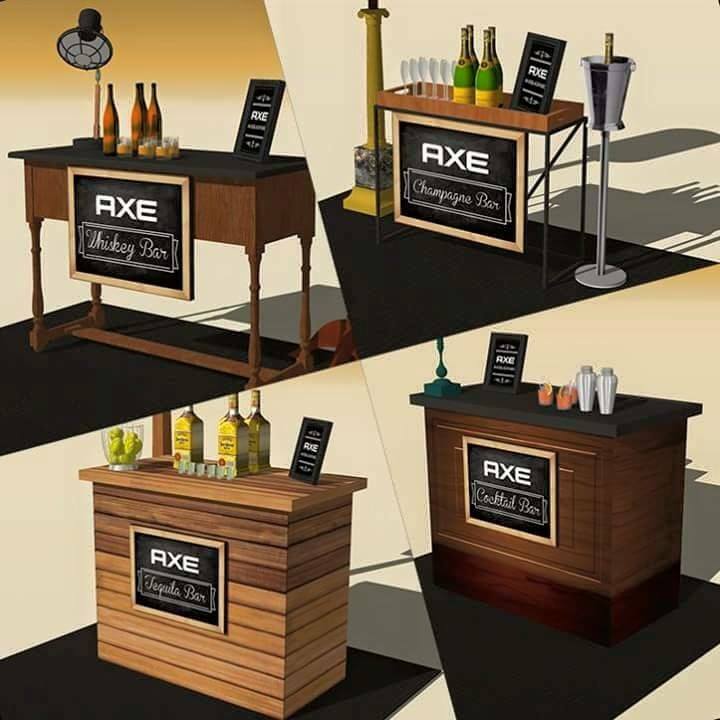 At Axe Man na rin siya! Congrats Fabio! Brazilian model Fabio Ide adds yet another club in his roster of already popular establishments for the hip, young and happening crowd. Teaming up with BNO’s Sam YG, both men are set to launch a bespoke concept pop up bar at The Palace for the new Axe Black fragrance where the metro’s stylishly understated men can hang out in. Brapanese model/actor Fabio Ide is putting up pop-up bars in The Palace that include an atelier, cigar room, haberdashery, cocktail bar, champagne bar, tequila bar, and whisky bar “The entire look and feel of the pop up bar will be in tune with the personality of the Axe Black man,” says Fabio. 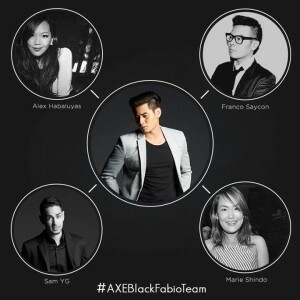 The new fragrance from Axe is “very light compared to other fragrances and complements the person in a way that it gives character,” says Fabio, describing the understated Axe Black scent that advocates Less Effort, More Style. As part owner of The Palace, Fabio knows a thing or two about bars, and is looking forward to surprising attendees with something out of the ordinary. Something to look forward to is the whiskey, tequila and champagne bar as well as a haberdasher and cigar room. The Pool Club will have 12 Cabanas and each cabana will have a diffuser set with essential oils from the Axe Black fragrance. Each Cabana will have a different theme so that guests can explore and find a space that suits them best. The outdoor pool lounge will allow you to enjoy your single malt while smoking a cigar in a breathable space. 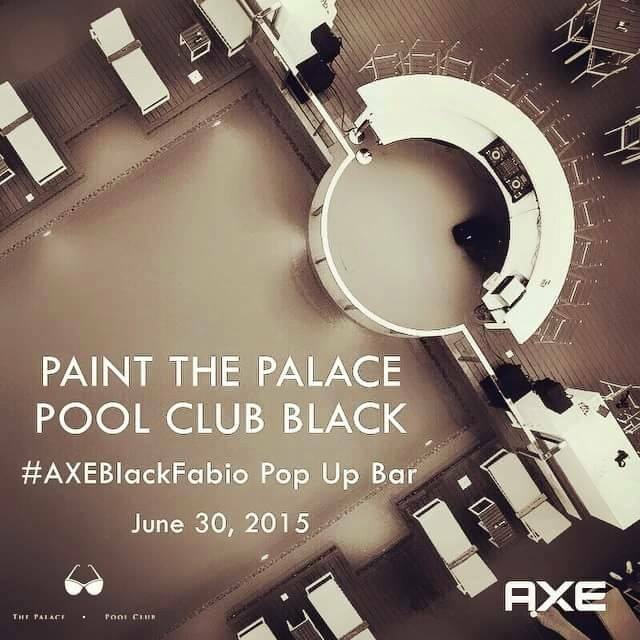 Fabio also has a specially concocted drink for the Axe Black pop up bar called the Brazilian Fizz, a light and citrus beverage suitable for the poolside theme. This entry was posted in Hotels and Resorts, Swoosh News and tagged Axe, black, club promoter, fabio ide, guest list, pool club, reservations, valkyrie. Bookmark the permalink.